We took a picture of our 109 students enrolled this term at the Mwanza Bible College; it was the highlight of the day and possibly the week for our students. They were excited when I told them that it would be placed on our website so that friends, family and churches all over America could see it. For most of these students the computer world is a strange and unreachable place that they may be able to visit but will never live there. However, for this special day they went immediately after chapel and changed clothes, fixed their hair and prepared for the big event. It was all accomplished with much laughter and good humor as we arranged and rearranged them in order to get them all into the picture. 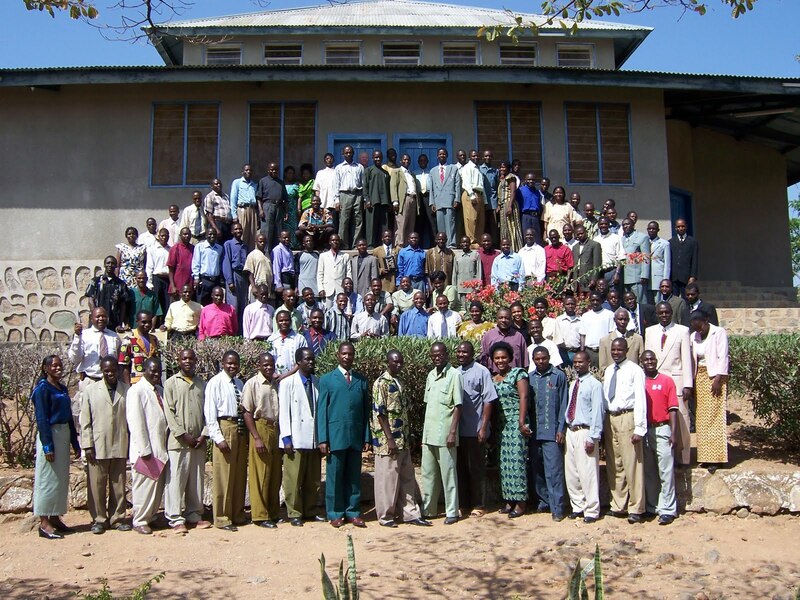 This group of people are mostly pastors from small churches scattered across western Tanzania; they consider themselves blessed to be able to attend Bible College. They, their families and their churches have sacrificed for the privilege of being here. Of course, we will need to figure out how to make 109 copies of this picture; they will all want a copy and it will be placed in a place of honor in their homes or churches as visual proof that they accomplished a phenomenal task.